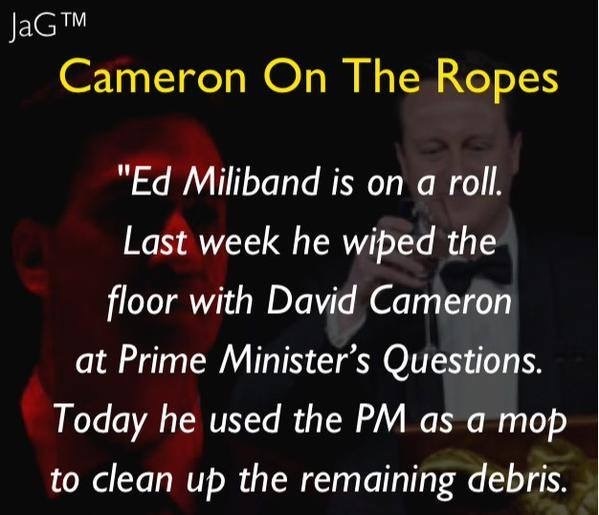 There is no doubt about Ed Miliband’s full scale attack on the Conservatives they always produce results when he goes for the jugular vein as he did in response to George Osborne and David Cameron. There is no doubt the budget speech by Osborne contained personal gibes at Ed Miliband to portray him out of touch with ordinary citizens. The Conservatives and their bed patters the Fibdems have pushed through a campaign for their supporters and driving our working class into deepening hardship. It’s no wonder The Office for National Statistics has exposed the hard reality that most people are suffering lower living standards from the being of this parliament. We all know the hidden agenda of the Chancellor of the Exchequer is trying to hoodwink the voters with new per capita measure of assessing income which combines low wages with the wealthy minority rewards to indicate to all of us that money is jingling in our pockets under the Conservatives. He made such a pitch by raising the basic tax threshold to spare the lowest paid in society thinking that they will fall for this scam and we will be happy with the crumbs of their table. Miliband made a valid point in recalling that Osborne and his chums denied before the last election that they would raise VAT and then promptly reneged on the pledge once there were in office. Well I would never guess that we have 49 days left for a General Elections and this why this Chancellor is at pains to point out its only Conservatives can deliver. Er smell the coffee Osborne we won’t be taking in by your false statements that are hurting voters on lower incomes. The Chancellor must know the falsity of his employment claims where jobless figures have fallen largely though zero hour contracts and supposed self employment. Big business representatives do know when their bread is buttered and who to go to when they are in trouble. The Chancellor must be thinking he is addressing to an audience in China where their growth has slipped about three times that of this country. Why heck even Gordon Brown Ex-Chancellor can put on a better show than George Osborne to convince our nation. This chancellor is unmoved by the dreaded cuts this coalition government has imposed on our public services and state benefits if the Conservatives win the General Election with or without their bedroom partner Libdems I’m sure many can work out the Conservatives would rather have an outright win and if they can’t they will be at home with UKIP as their new bedroom partner in waiting. Welcome to the land of Alison Wonderland of Treasury Secretary Danny Alexander, the nodding donkey in support of George Osborne as he delivered the Budget, has a secret twin brother is this a dream someone please wake me up now. That can be the only explanation for why Alexander, who chatted animatedly with David Cameron throughout Osborne’s speech, swanned into the Commons on 19 March to deliver his own fantasy Budget. That is surely more likely than the alternative that, as an endangered species likely to lose his seat to the Scottish nationalists in May, he should be comforted by having an each-way bet, backing agreed coalition government policy one day and then offering his own wish list the next day. No other minister has ever been permitted to present an alternative Budget after having been part of the team that drew up the real thing, posed for media snaps with the Chancellor and his red box and then sat on the front bench alongside him to show a united front. Bercow’s warning that Alexander’s statement should be ministerial and should refrain from making party political points clearly fell on deaf ears. Warming to his theme, he spurned Labour’s assessment that planned Tory spending cuts would take Britain back to the 1930s while also rejecting Osborne’s suggestion that they would equate to a return to the days of Gordon Brown. So what to do? Split the difference how about 1964? That should be about right. Council housing is sold off, hardly any new local authority homes are built, tenants are evicted or impoverished by the bedroom tax and Alexander’s government primes house price inflation to the delight of speculators and the despair of low-paid workers. He has the temerity to promise a “mansion tax” on high-price properties, but Liberal Democrats voted as a bloc two years ago against a Labour motion proposing its introduction. They branded it “infantile,” accusing Labour of “trying to drive a wedge” between the coalition partners and reiterating their support in principle for a mansion tax. The Liberal Democrats’ Alice Through the Looking Glass stance on the mansion tax mirrors Alexander’s “Look at me. 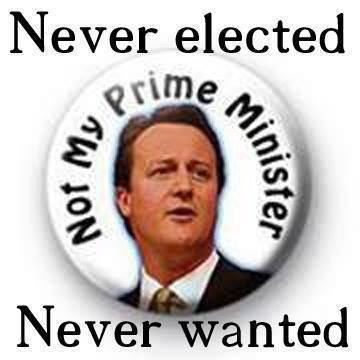 I’m a Chancellor” make believe. Latter-day efforts to distance themselves from the Bullingdon boys cannot hide the reality that their consistent priority throughout this Parliament has been to assist the Tories to carry out their anti-working-class austerity agenda. 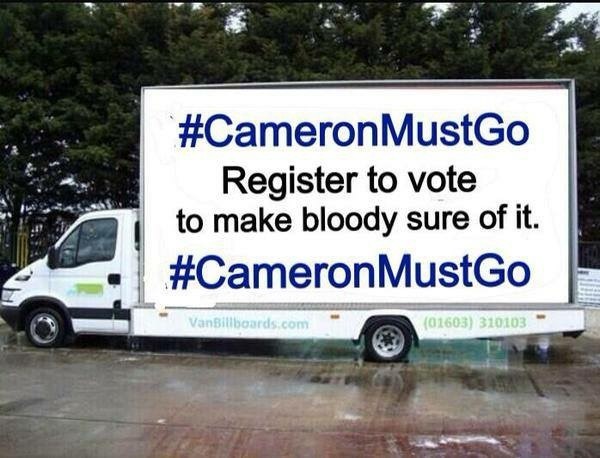 GMB general Secretary said that the chancellor had claimed more recoveries in the five years than the RAC. “Even skilled workers in the UK face being undercut while wages are stagnant or falling in real terms;” he complained. For well over a decade many have shared the view of truly affordable and rent-able housing which both previous and present governments kept on promising with just a handful are being built but n ot enough to cater for demand and supply . Many who can recall during the 1970s council housing came to end and in its place came the dreaded Thatchererite policy to sell off council housing at discount prices in the hope many would take up the offer under the guise of right to buy scheme but in reality those who could afford to purchase their council house did so whilst the many who could not were left behind which is true of today. The Right to Buy scheme is a policy in the United Kingdom which gives secure tenants of councils and some housing associations the legal right to buy, at a large discount, the home they are living in. There is also a Right to Acquire for assured tenants of housing association homes built with public subsidy after 1997, at a smaller discount. About 1.5m million homes in the UK have been sold in this manner since 1980. Critics claim that this compounded a housing shortage for those of low income, initiated a national house price bubble, and what is commonly recognised as the displacement and social cleansing of traditional communities. Supporters claim that the programme gave millions of households a tangible asset, secured their families finances and by releasing cash to repay Local Authority loans, helped improve the public finances. The Labour Party initially proposed the idea of the right of tenants to own the house they live in, in its manifesto for the 1959 General Election which it subsequently lost. Later, the Conservative-controlled Greater London Council of the late 1960s was persuaded by Horace Cutler, it’s Chairman of Housing, to create a general sales scheme. Cutler disagreed with the concept of local authorities as providers of housing and supported a free market approach. GLC housing sales were not allowed during the Labour administration of the mid-1970s but picked up again once Cutler became Leader in 1977. They proved extremely popular, and Cutler was close to Margaret Thatcher (a London MP) who made the right to buy council housing a Conservative Party policy nationally. After Margaret Thatcher became Prime Minister in May 1979, the legislation to implement the Right to Buy was passed in the Housing Act 1980. Michael Heseltine, through his role as minister for the Environment, was in charge of implementing the legislation. Some 6 million people were affected; about one in three actually purchased their unit. Heseltine noted that, “no single piece of legislation has enabled the transfer of so much capital wealth from the state to the people.” He said the right to buy had two main objectives: to give people what they wanted, and to reverse the trend of ever increasing dominance of the state over the life of the individual. The sale price of a council house was based on its market valuation but also included a 33% to 50% discount to reflect the rents paid by tenants and also to encourage take-up. Mortgages involved no down payments. The legislation gave council tenants the right to buy their council house at a discounted value, depending on how long they had been living in the house, with the proviso that if they sold their house before a minimum period had expired they would have to pay back a proportion of the discount. The sales were an attractive deal for tenants and hundreds of thousands of homes were sold. 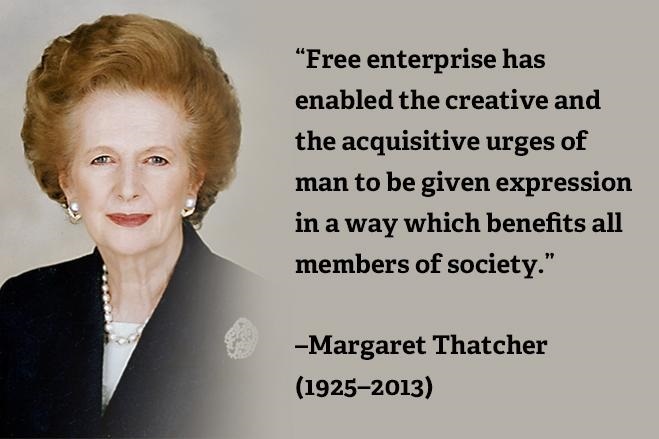 The policy became one of the major points of Thatcherism. The policy proved immediately popular, and indeed Labour had previously engaged in it on a small scale. Some local Labour-controlled councils were opposed, but the legislation prevented them from blocking purchases, and gave them half the proceeds. Sales were much higher in the South and East of England, than in the inner city of London and in the North. Half the proceeds of the sales were paid to the local authorities, but they were restricted to spending the money to reduce their debt until it was cleared, rather than being able to spend it on building more homes. The effect was to reduce the council housing stock, especially in areas where property prices were high such as London and the south-east of England. This trend was exacerbated by a government imposed ban on local authorities using their revenues from council house sales to fund new housing. Both these policies, together with rising rents and cuts to state benefits, have been linked to vast increase inhomelessness, when rough sleepers became an increasingly common sight. Homeless households in England during the 1980s, trebled from approximately 55,000 (1980) to 165,000 in 1990. 200,000 council houses were sold to their tenants in 1982, and by 1987, more than 1,000,000 council houses in Britain had been sold to their tenants, although the number of council houses purchased by tenants declined during the 1990s. The Labour Party was initially against the sales and pledged to oppose them at the 1983 general election, but then dropped their official opposition in 1985. However, at the 1987 general election, the Conservative government warned voters that a Labour government would still abolish the scheme. When Labour returned to power in 1997, it reduced the discount available to tenants in local authorities which had severe pressure on their housing stock; this included almost the whole of London. The Right to Buy rules were changed in 2005. Five years’ tenancy is now required for new tenants to qualify, and properties purchased after January 2005 can no longer immediately be placed on the open market should the owner decide to sell. Such owners must now approach their previous landlord (council or housing association) and offer them “first right of refusal”. If the previous landlord is no longer in existence, for example in cases where the former landlord was a registered social landlord which has ceased business, then the property has to first be offered to the local housing authority. The time in which a Right to Buy conveyance should take place has been reduced from 12 months to 3 months. The Financial Conduct Authority now governs and regulates most types of mortgage-selling. The Financial Services Authority‘s governance of Right to Buy purchases was partly to solve the widespread problem of Right to Buy mis-selling from brokers and solicitors alike. Each had their own agenda and many were actively charging excessive fees which were then taken out of their client’s discount. Fortunately, the above actions that have been taken coupled with the end of the boom period seem to have brought this problem under control. In 2009, the Localis think tank suggested, as part of a review of principles for social housing reform, that the right to buy should be extended into equity slivers, which could be part earned through being a good tenant. At the 2011 Conservative Party Conference, David Cameron proposed to increase Right to Buy discounts in order to revitalise the housing market and generate receipts which could be spent on new housing. Social housing professionals have expressed concerns over the proposal. As of 2 April 2012, the Right to Buy discount has been increased to a maximum of £75,000 or 60% of the house value (70% for a flat) depending on which is lower. In March 2013 the maximum discount in London was increased to £100,000. The aim of the scheme is, for every additional home sold, a new home will be built for ‘affordable rent’ at up to 80% of market rent, aimed at maintaining the level of affordable housing while also increasing the number of properties available for those on the waiting list. The five year tenancy criterion will remain, and should the property be sold within the first five years of the original sale, part or all of the discount will be required to be paid back. In July 2013, the Scottish Government confirmed that Right to Buy would be abolished in Scotland from 2017. The debate on housing takes on more and more of the logic of Alice in Wonderland (Britain’s building crisis – and how to solve it, 20 May). First and foremost, the debate is wrongly framed in terms of assets and finance and not housing. Thatcher’s right to buy was an asset wheeze not a housing policy. Its contingent effect was to actually undermine supply by reducing the effective market for private-sector homes. The parallel attack on local authority building under the pathetic smokescreen of increasing housing association output has had the same effect, with output collapsing from 113,000 the year before she was elected to 1,500 the year the Tories left office, before then sliding further under Labour. However, in the 40 years since 1970, through all the financial ups and downs and the tireless meddling of politicians in the planning system, the private sector built at a fairly consistent level of about 160,000 until 2010, since when it has collapsed to 100,000 (all UK figures) During a roughly comparable period, real house prices have increased by about two-and-a-half times. The idea that the private sector can build twice as many houses as it has achieved on average since 1970 and that this will buck the trend of the increase in asset price is not credible. The further assumption that property-owning turkeys would vote for such a Christmas present is fantasy. Until housing is seen as a basic right, the rental market is completely transformed and democratised and land values are taxed, the tinkering suggested by your contributor and others will be doomed to be swamped by unintended consequences, just like Help to Buy. Savills is quoted as saying that if building does not increase quickly, there could be a shortfall of 160,000 homes in the south of England in the next five years, and the Home Builders Federation claims house-building needs to effectively treble to 350,000 dwellings a year to control house price inflation. Should not an analysis of the problem include reference to the demand side? In particular, that if net inward migration continues at current levels, then in five years there will be a further million or so people needing homes. Surely allowing this influx of people to continue unchecked is counterproductive when we have a shortage of housing and – relative to other European countries – a shortage of space in which to build them. Mark Carney and the coalition leaders try to pin the responsibility on each other for doing something about the housing market, which Carney correctly states has “deep, deep structural problems” (Report, 19 May). In response, Cameron quickly passes the buck again by saying: “We have given the Bank of England the duty to make sure that bubbles are dealt with in the economy.” But housing bubbles are best dealt with by an anti-inflationary tax on property such as the old JS Mill land tax, which measures how much land goes up in value in a year and taxes that. This is the province of the politicians but they are loath to jeopardise elections by even the appearance of threatening the homeowner vote in any way. Planned cuts to housing benefit, and the replacement of secure tenancies with time-limited agreements at up to 80% of market rents, are an ill-conceived threat to tenants and would be a disaster for communities (Social security advisers warn against housing benefit changes, 1 December). These measures will create more evictions, homelessness and fear, but will not curb high rents. They do nothing to create the secure, affordable homes for rent needed by those priced out of the housing market. 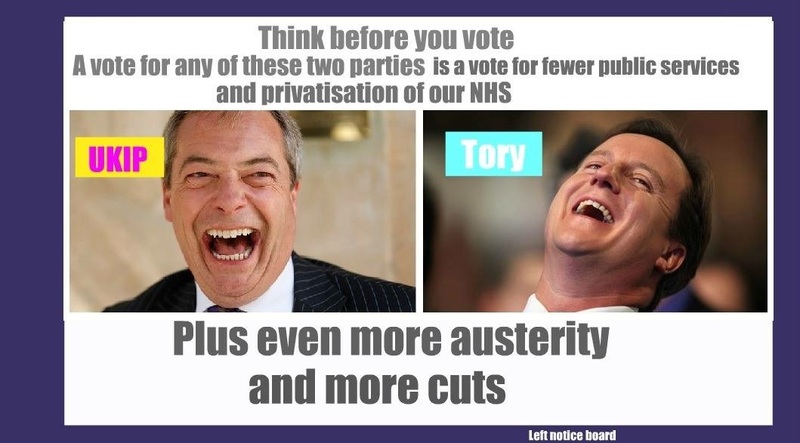 They will create exclusion zones, driving out the low-paid, the sick and the poor and their families. We urge councillors, MPs, tenants’ groups, trade unions, and housing, disability and poverty campaigners to join in a campaign to oppose these cuts. We must defend security of tenure for existing and future tenants, and resist and campaign against the cuts in housing benefit. Councils and other landlords should not implement cuts to housing benefit, where this is under local control, and refuse to evict tenants who get behind with their rent as a result of the benefit cuts. We should oppose raising rents up to 80% of market levels and make clear that the shortage of housing is a result of underinvestment and a failure to build – it is not caused by existing tenants of whatever race or religion. We need to regulate to control private-sector rents and campaign for a programme of investment in new and improved council and other house building at affordable rents. Thirty-five years of failed neoliberal housing policy have reached a new low. 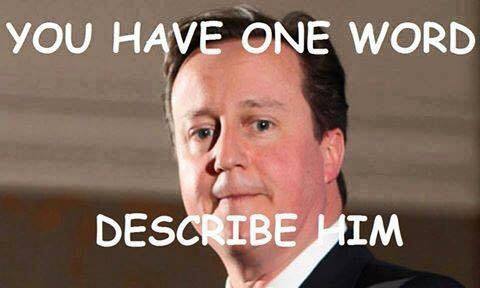 David Cameron has announced that, if elected, a Tory government would build 200,000 new homes a year and offer 20 per cent discounts to first-time buyers under the age of 40. It will do this by robbing Peter (the five million people on waiting lists) to pay Paul (the property developers who now control our housing policy). Under the scheme, builders will be exempted from “section 106” payments, the crumbs from the table of big planning agreements that require local communities to see some benefit from development. This can be in the form of infrastructure or amenities, but has increasingly become the source “affordable” housing. The term “affordable housing” has been subject to such misuse as to be almost meaningless. The latest examples are the “affordable rents” at 80 per cent of the market level that are becoming a norm for new rented homes built with public subsidy. As with other aspects of the housing crisis, new Labour must take some of the blame. During the “boom” years unscrupulous developers, avaricious housing associations and supine councils made an unholy pact. Developers built as many private homes as they could, while housing associations and councils colluded in massaging the definition of “affordable” to help them get away with it. They were all seduced by the fantasy that the housing market could provide sustainable economic growth and the homes we need. In the aftermath of the crash and growing anger about the scale of the housing crisis, this illusion lies in tatters. 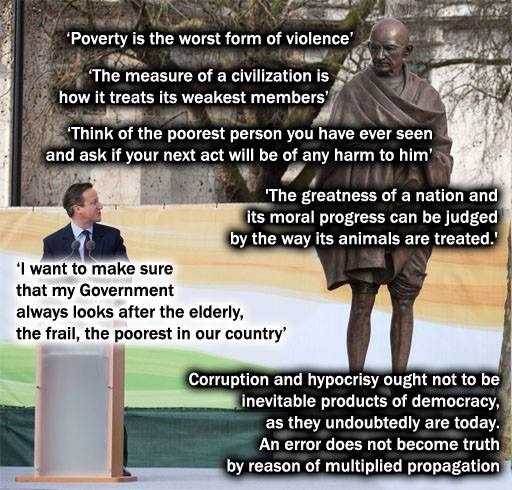 Cameron’s announcement is a reward for failure. Public-private partnerships (PPP), which we’re told are more efficient than direct public investment, have led to a steady decline in the number of homes built. In the 1970s 300,000 new homes a year were completed, half of them by councils. Today output is down by two-thirds. Councils have been virtually eliminated as housebuilders and housing associations have failed to fill the gap. Research by the Bureau of Investigative Journalism in 2013 found that 60 per cent of large housing developments were failing to meet even the inadequate targets for affordable homes. According to the bureau, the “big 10” housebuilders control enough land to provide 480,000 new homes and made profits of £2.1 billion last year, up 34 per cent. The big developers are both causing and profiteering from the housing crisis and now the Tories want to make it even easier for them to do it. 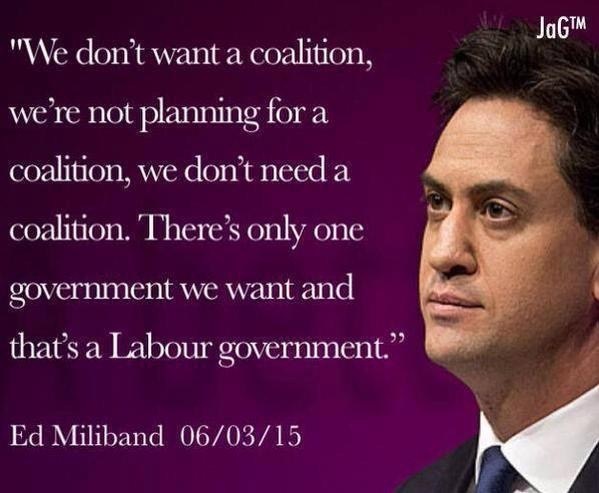 This is a political open goal for the Labour Party, but it’s missing. Instead of making clear statements about the homes we need, it is alleged Ed Miliband is playing the numbers game, trying to outbid the Tories on how many homes a Labour government would build. It’s meaningless. Yes, we need more homes, but it’s “what type?” as much as “how many?” that matters. Allowing developers to reflate the speculative property bubble makes the next market crash inevitable, while British households struggle to meet the 40 per cent of income now consumed by housing costs. The only way to defuse the housing market is to build more genuinely affordable homes and that means council housing. It was a shame to hear Green Party leader Natalie Bennett struggle to explain how this can be done. It’s simple. Let’s start with the £25bn, and rising, we currently waste on housing benefit effectively a public subsidy to private landlords. Second, let’s stop giving away valuable public land to private developers. The government has recently announced another fire sale of sites where 103,000 new homes can be built, with more in the pipeline. Its further alleged that Labour government should halt this immediately and use public land for public housing. Third, with rates at historic lows, the government can borrow now to invest in housing for the future. Fourth, we can take people off the dole and give them decent jobs and apprenticeships building the homes we need. Fifth, we can make this new generation of council homes energy efficient and begin to save the £100 a month UK households spend on energy costs. After reading all the five manifestos from various parties I must that I continue to be very impressed with Labour policy on housing and more can be done to improve on it. I have read all five and felt that both UKIP and the Greens won’t be able to deliver and how will they raise the finances it’s like pie in the shy with a bottomless pit. Both the Conservatives and Libdems offer more of the same and they are depending on a hung parliament so they can return as sweethearts for another fives of coalition. It must be love at first sight waiting for a rebound to happen again. 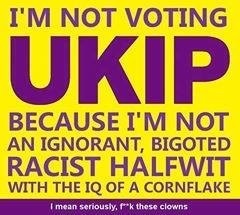 I rather put my faith in the Labour Party to deliver decent truly affordable and rentable housing as I’m confident that they will deliver without hitting out on the poorest in our society for the is reason I say a vote for UKIP, Greens will be a vote for a return of a Conservative Government. A vote for the Libdems will see a return of five more of another coalition with the Conservatives at worse Conservatives and UKIP in coalition. 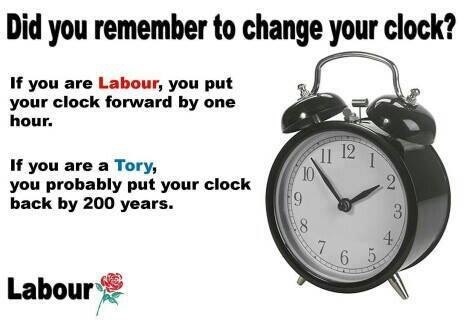 A vote Labour is to see a return of a Labour majority government to keep out the Conservatives. 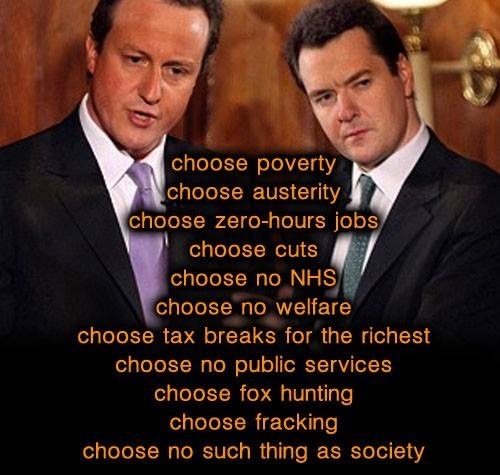 It’s alleged that George Osborne has promised “No giveaways, no gimmicks” who is he kidding with those words. In a nutshell he will allow up to five million existing pensioners to cash in their fixed annual payments for cash if this is not a gimmick then what is it? Ed Balls is right to say the Tories were committed to an “ideological plan” for the biggest cuts since WW2. 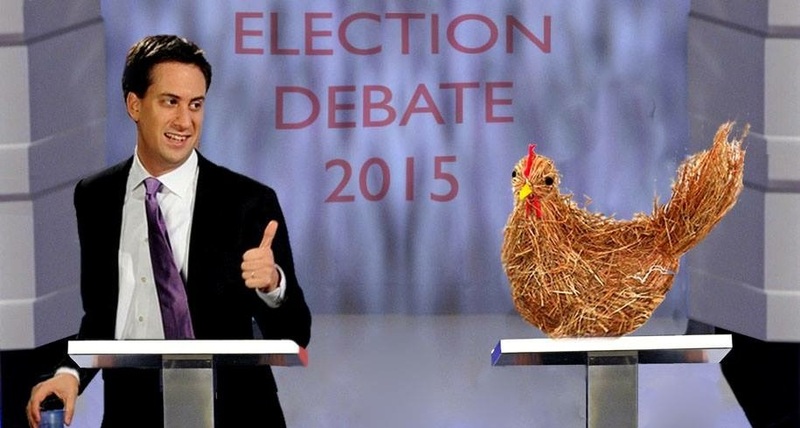 I’m glad that Ed Balls has challenge George Osborne to a head to head TV debate ahead of a general election. In my opinion I think it will show that Conservatives cannot be trusted with the economy as their policies are not working if anything it’s hurting the poorest in society and if you cut too fast you end up crashing the recovery of our economy. 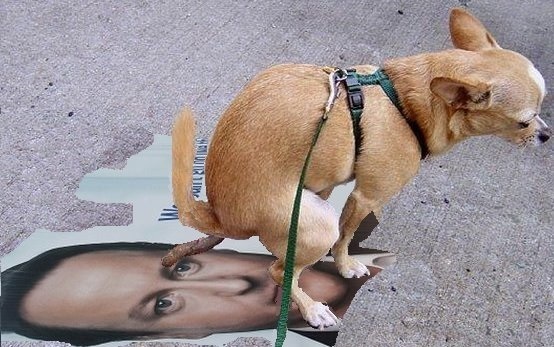 It’s alleged that Nick Clegg career could end with defeat in his Sheffield Hallam seat, of course, or in resignation after a terrible election performance. 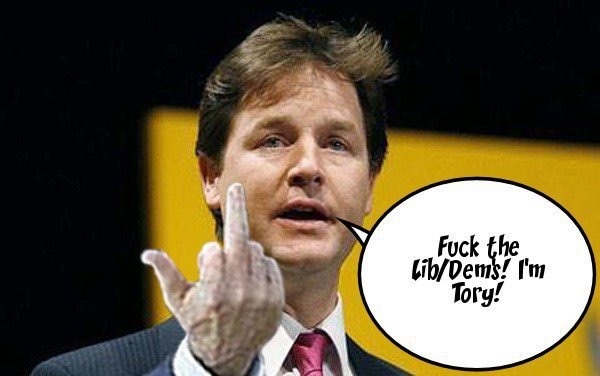 Many FibDems MPs are fighting for their political lives in constituencies, they are thinking hard about life after Clegg. Talk about being over-confident the Fibdems are here to stay and they claim they will defy poor poll predictions in the general elections which is an understatement and smacks of complacency. They are more interested in doing a sweetheart deals to remain in a coalition with any parties which may lead to another hung parliament on 7 May. 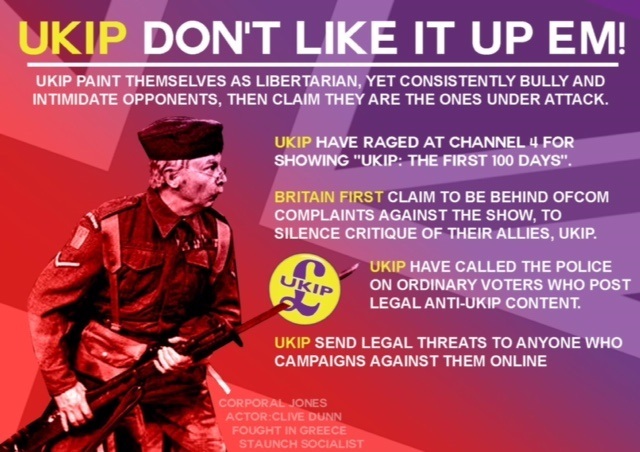 Voters are unlikely to be shocked by the comments of the leader of the ukip would scrap laws against discrimination on the grounds of race or colour. Hey folks this no surprise by the Thatchererite former stockbroker claims that racism is no longer an issue of modern Britain is assured violent Islamichpioa has risen dramatically in recent years while the Community Security Trust revealed that 2014 saw more than twice as many anti-Semitic attacks as previous year. Unemployment among Chinese, black, and ethnic minority young people has risen by 51 percent under this coalition took power suggesting that discrimination. Farage claims does not exist is still widespread. Many people are convinced that ucarp chief is living in cloud cuckoo land he needs a reality check and start to join the queue to smell the coffee. Many will acknowledge to do away with anti-discrimination safeguards is consistent with the ucrap pledge to anti-workers agenda more generally and his desire to see bosses free to hire and dismiss at will without the burden of workplace rights. It’s a goal that he shares with the Tories whose introduction of fees for employment tribunal hearing has made it far easier for employers to get away with harassment bullying and unfair dismissal. Must admit some of the journey has been cold, wet, and sunny along the way with fellow comrades. This year’s election saw eyebrows raised when a coach load of Labour activists from across the UK turns up unannounced in towns to meet up with fellow party members campaigning on behalf of Labour machinery especially on the doorstep listening to voters concerns in mix communities they have stories to tell you of what they think of this god forsaken coalition government the queues of people heading to food-banks, the affect of the dreaded BedroomTax, an Increase in crimes because of lack of employment in their wards etc. There is a strong sense of marginalized communities feel betrayed and undervalued by this coalition when they turn up to the Job Centers only to be informed by job center staff that they face sanctions for one reason or another. 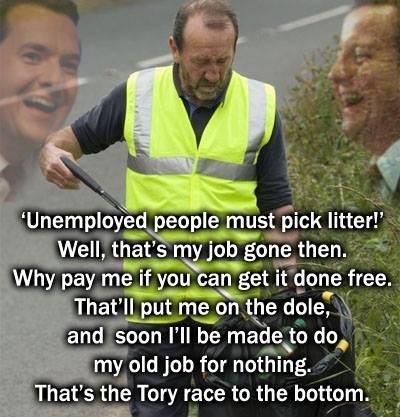 Since the coalition was formed they have consistently made claims that people on benefits are getting back to work in actual fact they conveniently forget to mention the real reason why the figures are down is because of the so-called job programmes that the unemployed attend which is mandatory and when the programme is finished some of them are on zero hour contracts and the unsuccessful people who returns to the job center are considered as new claimants does this ring any alarm bells to us. Heck yes it does to the many and not the few. Granted on the doorstep you do get the very occasional it’s the immigrants who are taking our jobs, housing, NHS, and they driving family cars they are taking the piss. Or the famous one is they are in it to line their pockets; they look after their own kind etc. Well the coalition minister is correct when they say “We’re In Our Necks Together”. There is not a day that goes by on the doorstep we all listen to residents speak about the affects of cuts in our public services like adult, elderly, physical, mental health, and learning disabilities centres which some have been closed and land owned by local authorities sold to private companies to build expensive housing and other grand projects. Then it gets even worst when residents mention about the cuts in the number of police on the beat and some felt afraid to walk home alone after they have attended events and they have to be on guard against any form of robbery. 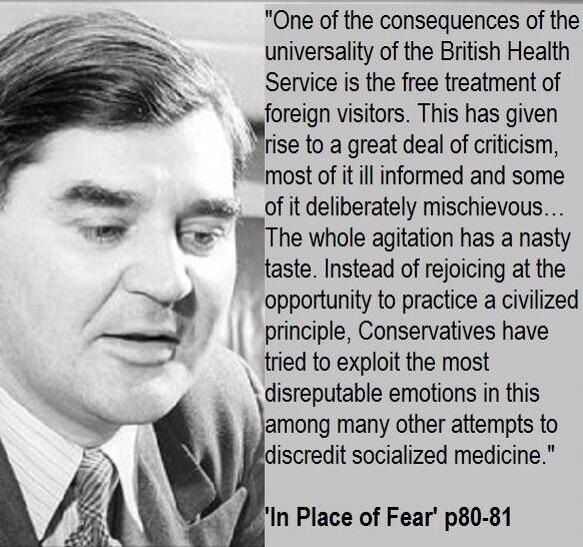 Here is another example of what ukip leader said of our beloved NHS it almost killed him and people should pay for private health care if they can. 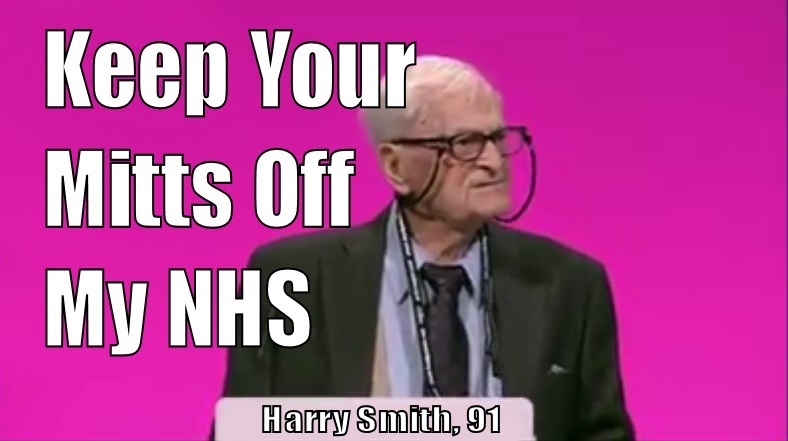 He was fobbed off by NHS doctors and he was later diagnosed with cancer after a scan at a private hospital. Great it one can afford Private Health Care Insurance but damned if you can’t. Personally I would not trust ukip to run our NHS let alone having a pint with this vile person and for the record I don’t drink alcohol. Many vote can concur with a report by the Commons Health Committee Social Care should be free to everyone at the end of life which includes for a better calls for a better recording of what people want in the last days. The MPs’ report said there was “unacceptable variation” in the care received by the people in England. It’s little wonder that many voters can’t trust a post-election deal with ukip and conservatives if there is an EU referendum in 2015 before Christmas. The conservatives think serious national interests can be solved by applying primary school background behaviour. They are childish and unfit to govern. Talking about sandwiches when people are dying of starvation is either being stupid, silly or bluntly clueless about your duties. How can they avoid real issues facing the country and for weeks concentrate on eating habits? George Osborne would need to end national bargaining and close three Whitehall ministries to meet his spending plans, a gaggle of vocal right-wingers claimed on 10 March. This comes as no surprise a stark warning of the Tory-friendly Taxpayers Alliance urged politicians to pledge a whopping £50 billion in extra spending cuts. A report published calls for abolishing the “triple-lock” that protects the value of pensions, freezing benefits for two years and slashing nearly £5 billion from central grants to Scotland, as well as snatching back winter fuel payments and bus passes from all but the poorest pensioners. 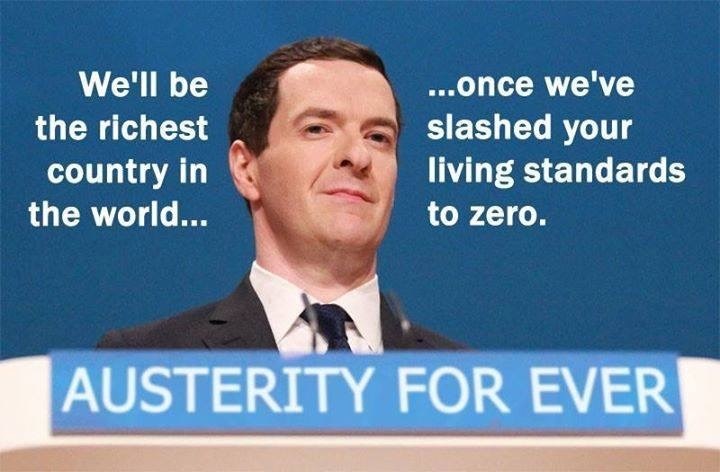 Labour has claimed that Mr Osborne would need to slash spending by £70bn to hit his target of running a surplus by the end of the next Parliament but Tories insist they can reach this target with cuts of “just” £30bn. The Office for Budget Responsibility has said Mr Osborne’s forecasts would result in spending falling to just 35.2 per cent of GDP — its lowest level since the 1930s. It is further alleged by the Tax Alliance that another further reduction to 31.7 per cent —a figure that would require the axing of the HS2 rail link and the Department for International Development and raising the retirement age to 67. She said: “If the Chancellor were to achieve the cuts he seeks these are exactly the kind of attacks on pensioners, the vulnerable and vital investment he would need to make. The prospect of scrapping public-sector national pay bargaining to save £5.8bn set alarm bells ringing among trade unionists. Unison assistant general secretary Karen Jennings blasted: “Just days after International Women’s Day, the suggestion from the Taxpayers Alliance that national pay bargaining should be scrapped is a slap in the face to women everywhere. “Around 70 per cent of public service workers are women and such a move would reverse the great strides unions have made towards gender equality. Following hot on the heels of David Cameron’s demand that Ed Miliband rule out a coalition with the Scottish nationalists, a Tory leak in the Sunday Times indicates that the undeclared general election campaign is now well under way. The paper reported that Chancellor of the Exchequer George Osborne is planning to use his Budget, due on March 18, for an income tax giveaway and cuts in alcohol duties, while bringing in a “Google tax” crackdown on multinationals that avoid corporation tax in Britain. Unpopular Tory governments have always sought to provide pre-election bribes, and such an approach from Osborne was always on the cards, given the cuts in public services and benefits and the fall in real wages that have taken place since the Con-Dem coalition was cobbled together by banking and finance interests in 2010. However, while many workers will benefit from the plan to raise the income tax threshold in April “towards £11,000,” instead of the projected £10,600, the spin being put on this is unjustified. First, the objective, according to an unnamed “senior government source,” of “lifting the poorest in society out of tax” ignores the fact that the poorest those on minimum benefits, basic-rate state pensions and zero-hours contracts in particular already pay no income tax since their incomes are well below the current £10,000 threshold. Second, it ignores VAT, council tax and other payments, which mean that the poorest 10 per cent in Britain pay 43 per cent of their income in tax — an enormous burden which can mean making crucial choices between eating, heating and buying clothes. In contrast, the wealthiest 10 per cent pay only 35 per cent of their declared income in tax and we know that there are many ways in which they can reduce what they declare. Fourth, it does nothing to address the broader issue of low pay and in fact can be used by employers to justify not paying the living wage. The other “leaked” Budget proposal was already announced by Osborne in his Autumn Statement forcing multinationals to disclose revenue and profits on a country-by-country basis and then applying a punitive 25 per cent “diverted profits tax” where they are judged to have artificially shifted money abroad to avoid corporation tax. The measure is designed to look progressive without actually being so. There is a myriad of ways in which corporations can avoid tax liabilities between jurisdictions, such as transfer pricing between subsidiaries and charging for the use of brands. Without legislation to prevent this, and to close down tax havens under British jurisdiction, the measure is likely to have little effect, especially as staffing at HM Revenue & Customs has been slashed under the coalition government. Furthermore, the “Google tax” does nothing to address the already low-level of corporation tax, which has been cut four times by this government, culminating in the 20 per cent figure due to come into force in April one of the lowest rates in Europe. Enterprise Minister Matthew Hancock was quoted yesterday as wanting to reduce it further, to something approaching the 12.5 per cent figure in Ireland. There you have it this why I would not trust another coalition let alone a ucarp, or conservative government to run our country. I’m so glad that the Conservatives said judge us in five years time by our record in actual fact I have to say I’m not happy with their record in government and its time for a movement for change let alone another coalition. 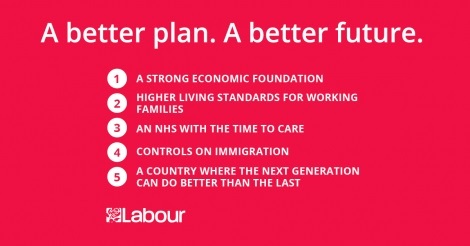 I strongly recommend the young and undecided voters to vote Labour for A better plan. A better future. I kid you not when I say that this year’s General Election will be nasty and to top of there will be Local Elections in some parts of UK. Already the polls have already shown that the voting patterns differ some making predictions of a Conservative or Labour Government. Ironically all of the polls are based on perdition. 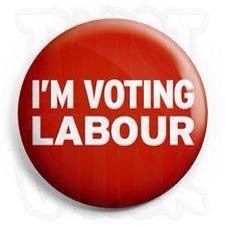 Hope all is going well with your campaign in Edgbaston. Two burning issues I would like you to address. This year’s General Election will be ruthless and there can be only one winner in my eyes for this reason team Labour will be campaigning hard to ensure we see a return of a Labour Government. I would urge you and your team to remember to make contact with Chinese and Black Communities to bring out the vote as those communities strongly feel that they are left out in the political process. Would you be so kind to engage with them whilst you are on your campaign trail. Secondly, over the last few days I have been monitoring both Facebook, Twitter and other social media of lately most Labour members, and supporters across UK have commented that the article Re: Labour and. Conservative Coalition. I’m sure that you may be aware of the anger that is being vented both from party members and our supporters have been campaigning very hard to ensure that we see a return of Labour Government. 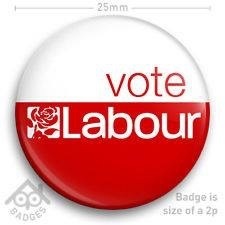 Some members have been put off by your article and feel that the work they have done in their own CLPs have been wiped out as this has given ammunition to the Conservatives and other opposition parties to say that Labour is not worthy of your vote. I hope you can see the predicament that we face. I respectfully seek clarification what is Labour position is on coalition deals so I can approach it in various communities I and the rest of Labour members feel confident to engage with voters to return to Labour. I look forward to hearing your response and remember are our teams from all our Labour socialist societies will be ready on hand to do our duty. You are most welcome to join us . 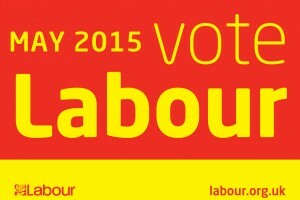 As to Coalitions…… my aim is to make sure that we return a majority labour government. 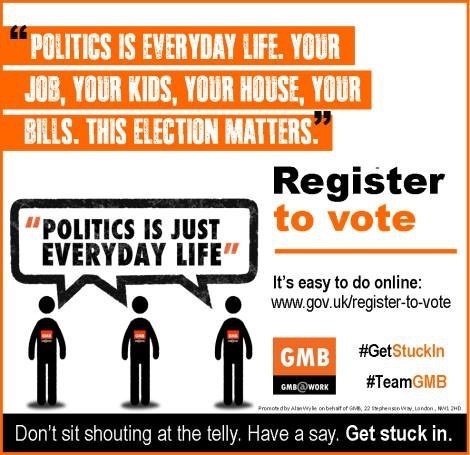 There is only two months to go all the political parties jockeying and lobbying for our votes. Most of the political parties will be holding their Spring Conferences rallying their footsoilders and candidates to spread their message on the doorstep. Interestingly I have to questions to the Conservatives, UKIP, TUSC, Greens, Libdems, and SNP manifestos on Defense, Education, Equality, Employment, Economy, European Union, Housing, Immigration, Public Services which includes NHS and Small Businesses to name a few as their sums does not add up. Look around and start to smell the coffee parliamentarians. Our country is being torn apart. People are suffering and dying. Lives are being wrecked. Public services destroyed. Changes we never believed possible are being forced through against our wishes. They call it “austerity forever” -the idea of a handful of arrogant, aloof Eton public schoolboys and their rich friends. However, as Karl Marx once said about capitalism, they are creating their own gravediggers. The British people, true to centuries of tradition, are rising like lions. People with severe mental health and Learning Disabilities, and Disabled needs in this county are taking their own lives in utter despair as a direct result of cuts in services. the campaign against mental health, and Learning Disabilities cuts which have plunged the service into crisis is one of the biggest, most active and successful we have seen in years. So it is no surprise that Local authorities in England and Wales will see their main government grant cut by £2.6bn next year, under plans set out by the coalition on Thursday. Kris Hopkins, the local government minister, said the settlement for 2015-16 was “fair for all parts of the country” with no authority seeing a cut of more than 6.4 per cent. Local authorities in England and Wales will see their main government grant cut by £2.6bn next year, under plans set out by the coalition on Thursday. The average reduction in council “spending power” will be 1.8 per cent, according to a government calculation that includes all income including council tax and business rates. But authorities said that after these revenue sources and funds that are ring-fenced for public health and adult social care were stripped out, the main grant was being cut by an average of 8.8 per cent. That will take the total reduction since 2010 to 40 per cent, equivalent to £20bn of spending cuts according to the Local Government Association, with the loss of libraries, leisure centres and other facilities. No fewer than 578 children’s centres have closed since the last general election, according to the Labour party. Ministers also faced criticism from their colleagues. Martin Tett, Conservative leader of Buckinghamshire council, said authorities had reached a “tipping point”. Surrey county council’s leader David Hodge, also a Conservative councillor, said it would be “extremely difficult” to continue with a programme of spending reductions. London Councils, which represents boroughs in the capital, said the gap between council income and necessary expenditure was growing dangerously wide. “Even if councils in London switched off all the street lights, closed libraries and parks, and stopped sweeping the streets, the money saved would not be enough to fund essential local services such as elderly care, child protection and schools,” the group said. Mr Hopkins promised more money to allow local authorities to freeze council tax for another year, with any authority seeking to raise it by more than 2 per cent having to put this to a local referendum. This comes no surprise again coming from a coalition the minister said the public had benefited from frozen council tax in recent years, bringing down average bills by 11 per cent in real terms. Bills had doubled during the previous Labour administrations from 1997 to 2010, he said. Newcastle city council said on Wednesday it would consult on a rise in council tax of up to 2 per cent for 2015-16- the first rise for four years. It says money raised would be used to protect front line services. Challenged in the House of Commons by a succession of MPs, Mr Hopkins said local government — with a £114bn annual budget — had to be part of the government’s programme of cuts. He also published a study suggesting ways councils could save money, such as more collaboration, use of technology and working with the private sector. Mr Hopkins said councils with the highest demand for services were receiving more money: Middlesbrough had “spending power” per household of £2,441 compared with £1,570 in Windsor and Maidenhead, he said. Hilary Benn, the shadow communities secretary, challenged that claim, saying that prosperous Wokingham in Berkshire was on course to have higher spending per head than Leeds or Newcastle. “Having claimed that those with the broadest shoulders should shoulder the biggest part of the burden . 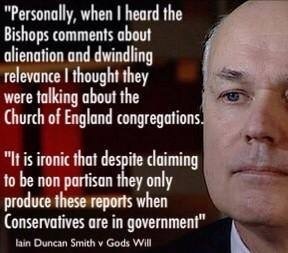 . . ministers have done the opposite,” he said. The government also promised a further £15.5m to support countryside authorities in an attempt to close the “urban-rural gap” in spending power. But Andrew George, a Liberal Democrat MP for Cornwall, said that cuts were causing “carnage” in his rural seat: “He might close the gap by the time the next Ice Age comes,” he told the Commons. Graeme McDonald, director of the Society of Local Authority Chief Executives and Senior Managers, said the cuts would push fragile authorities “to breaking point”. Libraries need to reinvent themselves as modern, appealing destinations with cafés and better digital resources if they are to survive, says a government report. The Independent Library Report for England said that public libraries, facing a 3 per cent drop in council spending this year, were “at a crossroads”. It called for “reinvigoration of the library network” by introducing “comfortable, retail-standard environment(s)” with wireless networks, sofas and coffee, to promote them as centres for learning and digital skills. The report highlighted the disparate ways in which council libraries are structured, including as mutual organisations part-owned by community members, independent organisations with charitable status, and public-private partnerships. The differences mean some libraries can function as community hubs with employment support and enterprise advice, while others are still predominantly focused on lending books. He recommends greater transparency from central government on the funding available to local authorities, and suggests councils could benefit from making one collective bid for money. The Library of Birmingham was opened last year as an example of the modern library with cutting edge computer systems, conference venues and business planning services. 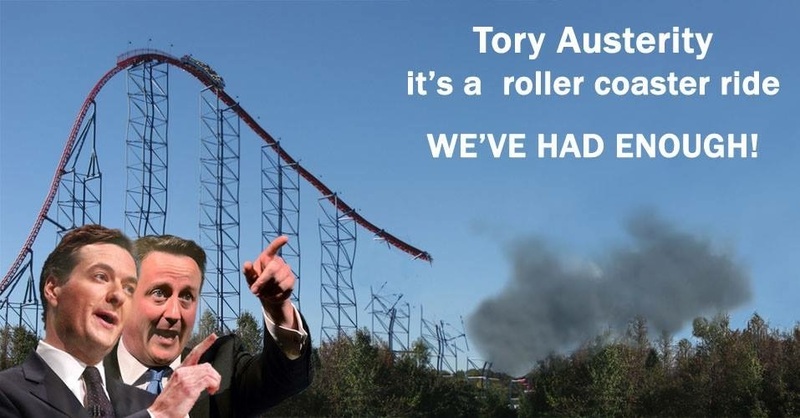 But last week it announced it would have to halve its hours because of budget cuts. A review into the council found “dysfunctional” management was making it unable to deliver even basic services. Almost all the £188m raised by Birmingham Council for the new Library of Birmingham was borrowed, leaving the council with a £12m annual debt servicing charge.